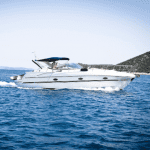 At CoversDirect®, we LOVE when customers send us pictures! 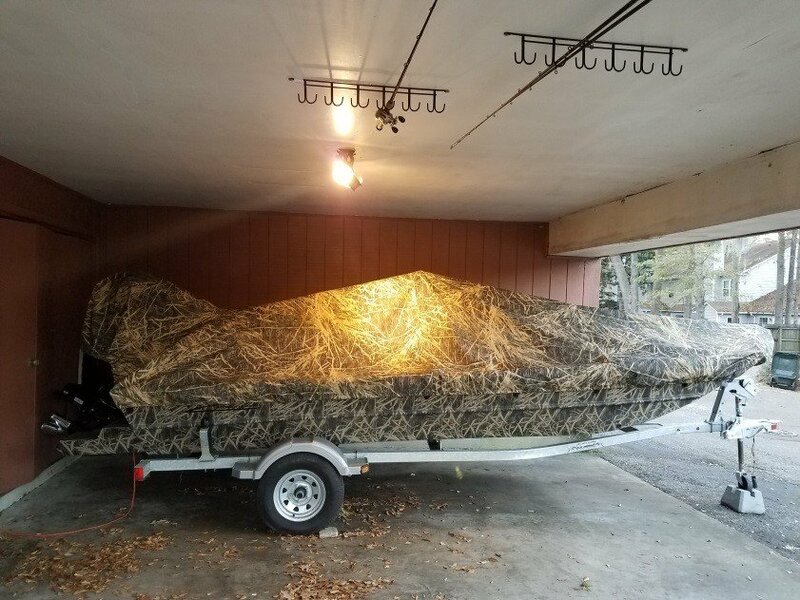 Mr. Kessinger of Summerville, SC recently purchased the Carver Styled-to-fit cover in Mossy Oak Shadow Grass. He could not have selected a better cover. The fit is perfect and the camo look is phenomenal. The Mossy Oak Camo is made in the USA from 100% marine grade polyester which is similar to our Performance Poly-Guard. It is highly water repellent and extremely tear resistant. 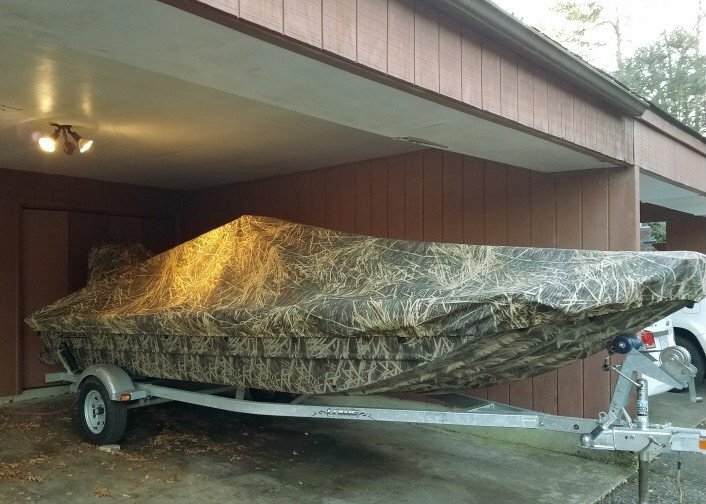 This is the perfect choice for the outdoorsman’s boat cover! Sometimes people may choose solid colors as a safe choice. It can be difficult choosing by the box on the computer screen. If that is the case, don’t fret! Call our office at 1-866-626-8377, and we will be happy to send you a sample of the camo material. If these pictures don’t make you want your cover in camo, then I don’t know what will!